For the next three weeks, we'll be showing off the amazing features of the brand new Starkey Livio AI hearing aid. We will have multiple posts outlining the revolutionary new features. Livio AI marks the beginning of a hearing revolution. For the first time ever, there’s a hearing aid that not only sounds crisp, clear and unlike any other, it also helps the wearer track and monitor how physically and mentally active they are. Livio AI isn’t just the world’s best hearing aid — it’s a multi-purpose device that completely redefines what a hearing aid can do. Integrated sensors make Livio AI the first hearing aid to provide a natural user interface. Gently tap your ear twice to start or stop streaming audio from a Starkey Hearing Technologies accessory like the TV Streamer or Remote Microphone+. You read that right, the Starkey Livio AI hearing aids can do real-time language translation, right into your ear! Open new connections - Communicate effortlessly with people who speak other languages via the easy-to-use translation tool in the Thrive app. Speak - When you speak into your iPhone®, the app will translate your speech and display it on the screen in the other person’s language. Translate - When the other person speaks into the phone, the app will translate their speech, display it in your language on the phone, and stream the translated text to your hearing aids in your language. If you’re a hearing aid wearer, you know that there are times when your hearing aids need a minor tweak or quick adjustment to ensure you’re always hearing your best. 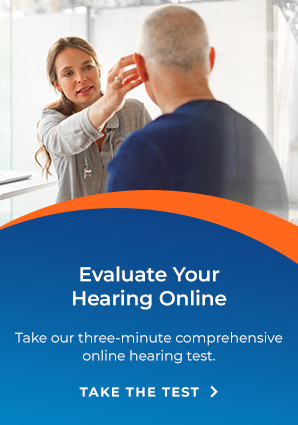 Now, instead of bringing them into Arnold Hearing Centres, you can request — and we can make — many adjustments remotely, which saves you time and makes life even easier. One of the many great features of the Starkey Livio AI is that the hearing aid and app are always updating. Fall Detection is coming soon and adds to the many 'first time' things the Livio AI can do. The first ever fall detection sensor in a hearing aid. Sends alert text messages to selected family members, friends or caregivers, informing them that you have fallen or initiated the alert. Auto Alert - Automatically sends an alert text message to your selected contacts after a fall has been detected by your hearing aids. Look for next week's post which will feature the Starkey Livio AI's new Thrive App and how it can track your body and wellness with AI! Contact us today to book your free hearing test and a free demonstration of this amazing new hearing aid! Join the hearing revolution!